Who is she? Emmanuelle Alt, the brains and figure behind Vogue Paris. 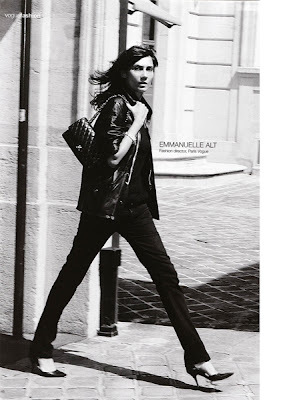 She took over from Carine Roitfield as Editor in chief in 2011 and has made her mark as a global style icon for her signature look that embodies androgynous French cool. No one rocks a Balmain blazer and skinny jeans like this woman, she is the right amount of edge with the perfect amount of attitude! 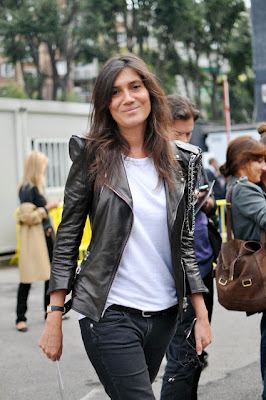 Did we also mention that her husband Franck Durand is the artistic director for Isabel Marant? What a power couple...she definitely gets our vote for her chic Parisian style!